In Kolkata on Mamata’s invitation, Chhetri and his team also paid a courtesy call to Governor Kesari Nath Tripathi. The meeting comes in the wake of Mamata pushing to make inroads into North Bengal, a bastion which has so far eluded her. She is also expected to visit Darjeeling later this month with President Pranab Mukherjee. 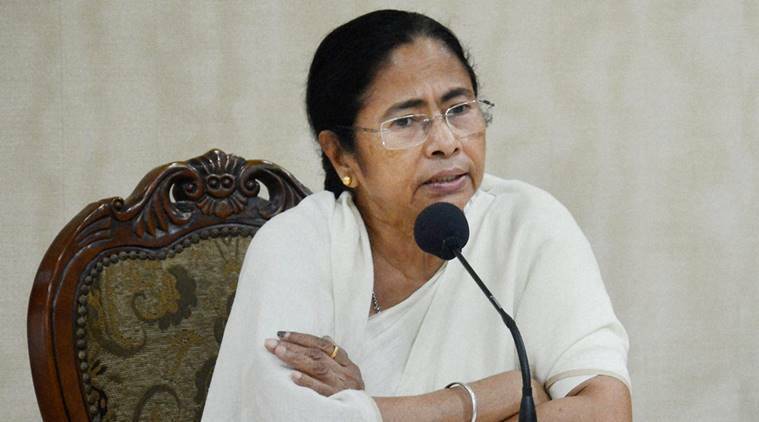 A FIVE-MEMBER delegation of Gorkha National Liberation Front (GNLF) on Monday met Chief Minister Mamata Banerjee at Nabanna, setting the ground for proposed alliance talks between non-GJM parties in the hills and Trinamool Congress. This was the first official meeting between party president Mann Chhetri — son of GNLF founder-chief Subash Ghising — and Mamata since she became the chief minister for the second time last month. In Kolkata on Mamata’s invitation, Chhetri and his team also paid a courtesy call to Governor Kesari Nath Tripathi. Sources said an alliance between non-GJM parties and Trinamool may just be on the cards with municipal elections scheduled for November in Darjeeling. “The matter of alliance will be decided by our party president later on. But yes, there may be a possibility of such a thing emerging. It is too soon to comment on the matter right now,” GNLF spokesperson Neeraj Zimba told The Indian Express. “It is true that this is just the beginning — laying groundwork for more participation between the state and the hills and many more meetings between the two leaders are now expected. Also, it was not possible to discuss all issues today so we will meet more often now to present our demands,” he added. At the meeting, GNLF submitted a memorandum demanding the state’s recommendation for tribal status for some hill communities. “One of our most pressing demands is that ST status be conferred on tribes that have been left out. Our president made it clear to her (Mamata) that the recommendation of the state is absolutely imperative. Ten tribal communities have been left out of the ST list in Darjeeling hills like Gurungs, Mangars and Khas,” Zimba said. The delegation told Mamata that separate statehood for the Darjeeling hills was no longer in their agenda, former MLA Nar Bahadur Chhetri told mediapersons after a 30-minute meeting with Mamata. “We do not have any demand for statehood. In our memorandum, we have mentioned various issues concerning Darjeeling besides our demand for tribal status… Without the state’s recommendation, the status cannot be earned… We want to be part of the development. We want to work for political and overall development of the area, including economy, tourism and also of the people,” he said. Nar Bahadur alleged that tea workers in five tea gardens in Darjeeling were not getting wages or other benefits and the dues have gone up to Rs 8 crore. PWD, Youth Affairs and Sports Minister Arup Biswas has directed the owners to clear all the dues within 15 days, he added. He also alleged “rampant corruption” in the Gorkhaland Territorial Administration (GTA), which, he said, featured in the memorandum addressed to Mamata.